The release of the Tamil film ‘Kaala’, starring Rajinikanth and directed by Pa Ranjith, has been in the news for the past few months. 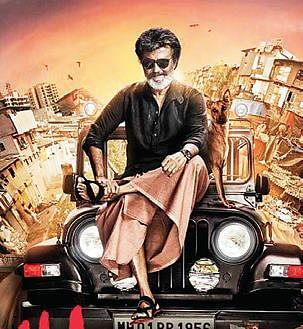 BENGALURU: The release of the Tamil film ‘Kaala’, starring Rajinikanth and directed by Pa Ranjith, has been in the news for the past few months. The filmmakers, after postponing the release date, has fixed it for June 7, bringing cheer to the superstar’s legion of fans. Though ‘Kaala’ is set to be released worldwide, it may not be released in Karnataka.The blockbuster Baahubali-2 had faced problems as Kannadigas were furious with actor Satyaraj’s statement a few years ago. After opposition to the movie’s release mounted, director Rajamouli had apologised. Now, Sa Ra Govindu, president of Karnataka Film Chamber of Commerce, is upping the ante against ‘Kaala’. “Kannadigas are upset with Rajinikanth’s comments on the Cauvery issue and so his film will not be released in Karnataka. 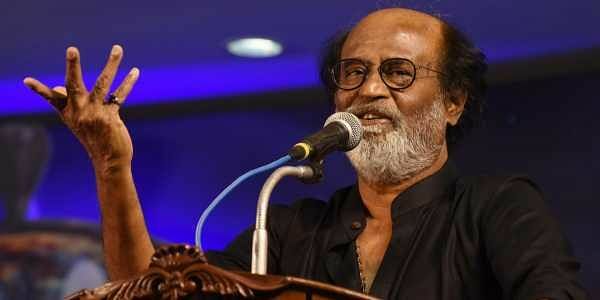 We have requested theatre owners and distributors not to be associated with the film ‘Kaala’ in any way,” he said. “I am not doing this as president of KFCC, but as an activist and a proud citizen of Karnataka. For me, the state comes first and friendship next. We are proud of Rajinikanth, who is from Karnatka and has grown to great heights. We would watch his films for his entertaining performances though it was made in another language. But not anymore,” he added. “As many as ten letters from various pro-Kannada groups have reached the Film Chamber, demanding that ‘Kaala’ not be released in Karnataka. Considering the sentiments of Kannadigas, there is pressure on us not to release the Rajinikanth starrer and we have abide by their request. A meeting was held last Saturday and Kannada activist Vatal Nagaraj has also been opposing the release of ‘Kaala’, he noted. According to Sa Ra Govindu, Rajinikanth has changed after he joined politics. “As an actor, he always handled issues on Cauvery in a diplomatic way. But when he entered politics and formed a party, he made a direct attack on us, which has not gone down well with Karnataka. It is a question of our prestige and we want to keep our word. We will not allow his film to be released here,” he told Express. Rajini is supporting his state Tamil Nadu like kannada actors for karnataka why should his movie be banned.